Product prices and availability are accurate as of 2019-04-21 08:14:02 UTC and are subject to change. Any price and availability information displayed on http://www.amazon.com/ at the time of purchase will apply to the purchase of this product. 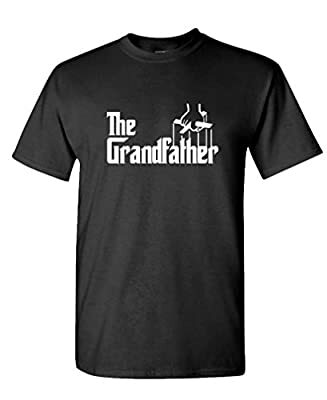 THE GRANDPA Funny Daddy's Day Satire - This is a TERRIFIC gift for any kind of Daddy, soon to be daddy, grandfather, papaw, or old man in your life! - Our Tees are 100% cotton (except ash as well as sport grey), as well as our Fleece is an extremely cozy 50/50 blend.